The festive addition of a holly sprig complete with berries makes this boys biking ornament into a fun Christmas gift. The bike fun boy brown hair personalized Christmas ornament will put a smile on the face of guys of any age that enjoy getting around on two wheels. 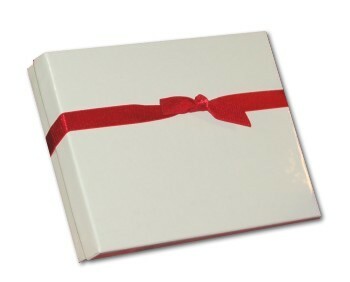 It’s a personalized boys ornament that includes a display cord and our classic velvet gift pouch. The lettering is painted on by hand in a font more handsome than shown to create a boy on bike ornament that is unique. 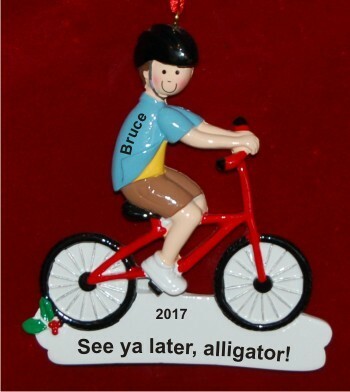 Wish him a fun and happy holiday season with the brunette boy biking ornament personalized from Russell Rhodes.